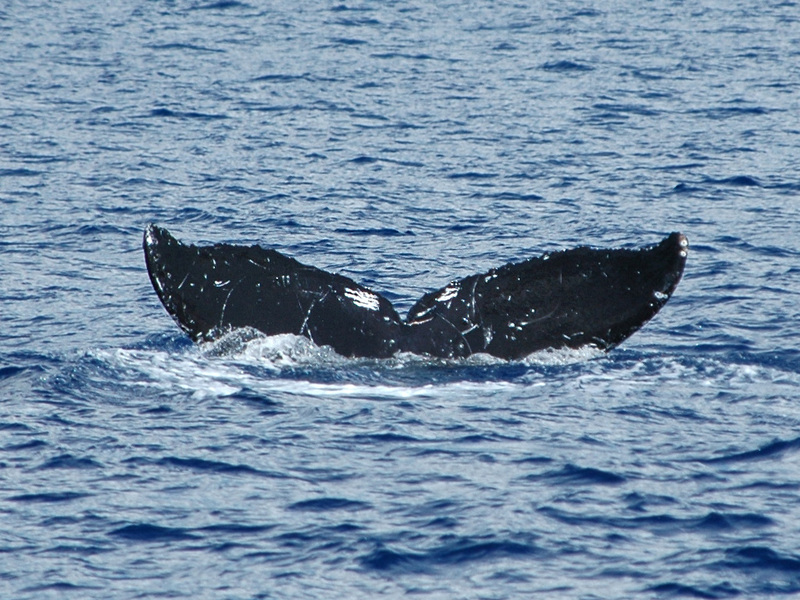 Humpback Whales are most commonly identified by their tails. (The coloration of the ventral surface of their flukes.) The Whales have different patterns ranging from all white to all black. There are also scars that distinguish them from one to another. 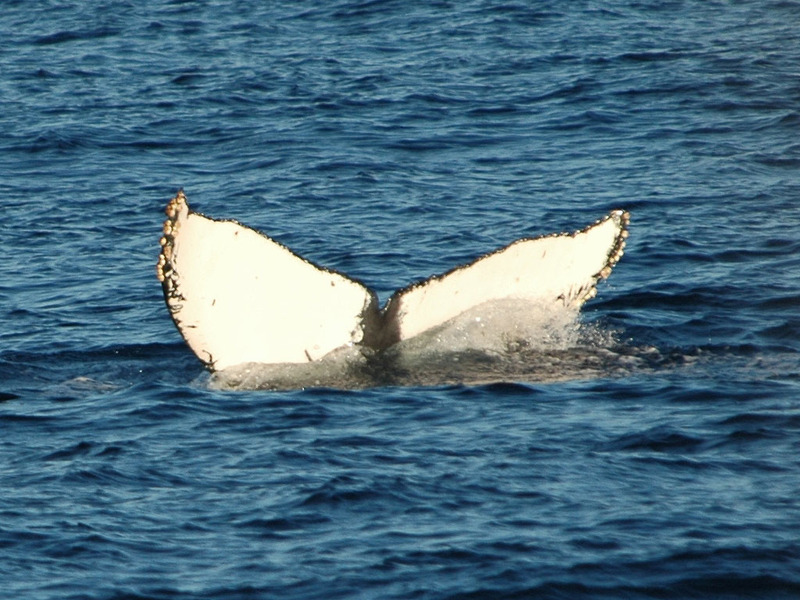 The tails are not the only way to distinguish them. They are the easiest and the only practical way to identify a large number of whales. 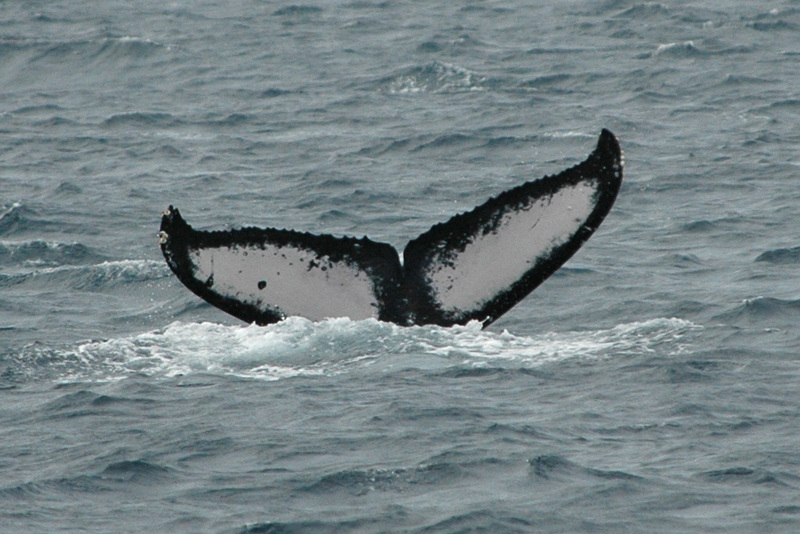 For Whale Researchers identifying individual whales is just a starting point. 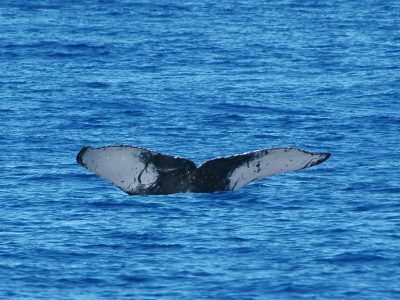 It enables them to monitor the movements and behavior of individual whales and of groups of whales (pods). It has been learned that whales move from pod to pod and other than mother and calf pairs that they have no long term associations with other whales. Data Bases for whales are maintained and used in the estimation of whale populations. 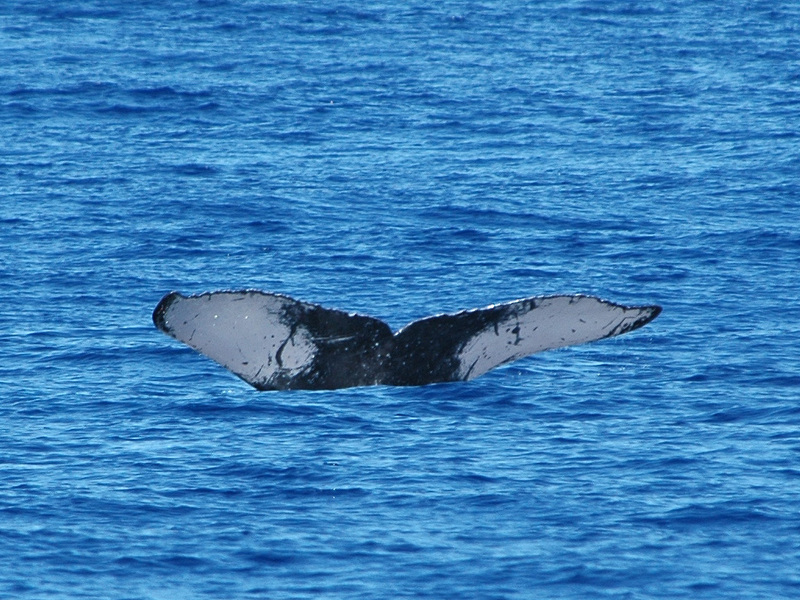 The latest numbers I have heard were for between 6,000 to 10,000 Humpback Whales visiting Hawaiian waters. 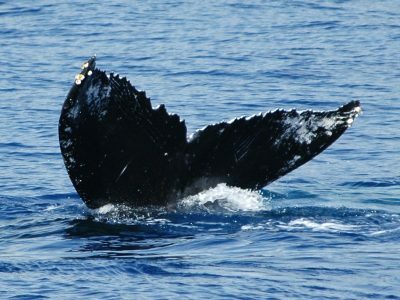 That is a wide range because even though whales are very big they are in an even bigger ocean. They also spend a lot of time under water. There is still much that is not known about them. They are also estimated to be increasing in population by 5 to 7 percent per year. These pictures were taken from Kauai waters of Humpback whales from the winter of 2005 - 2006. I tried to show the range of coloration and some with scars. 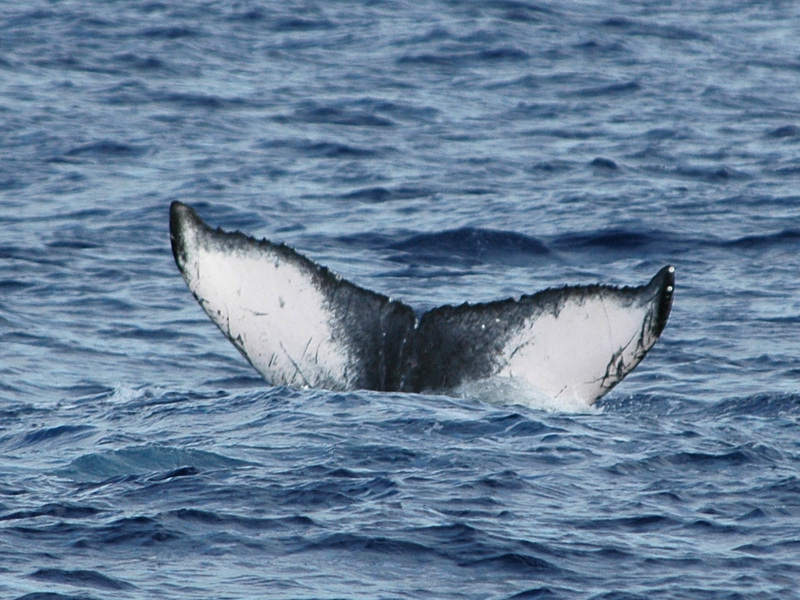 The whales don't always raise their tails when diving too. 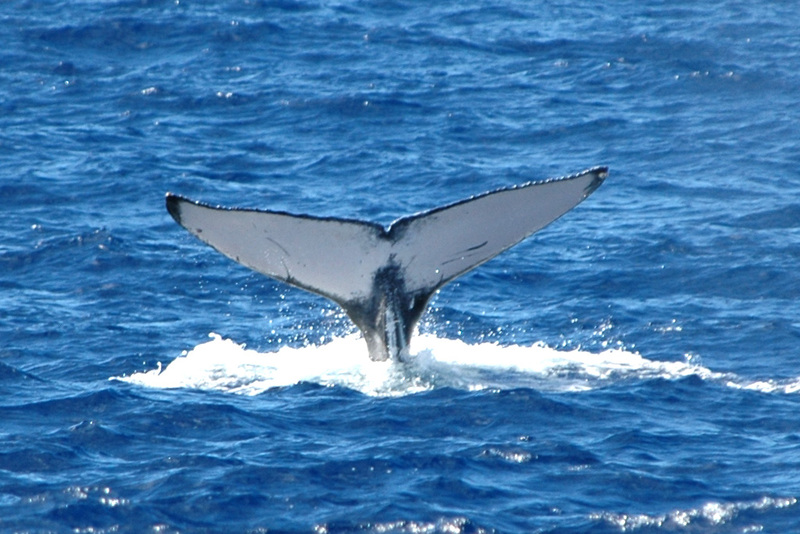 In a pod the same whales will often never raise there tails while others will raise theirs the same way every time. 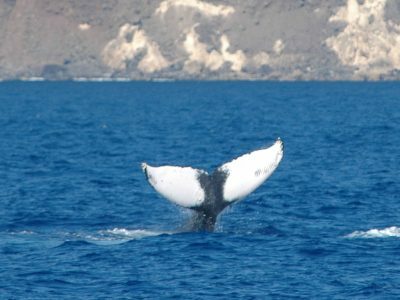 Although they are unique they can also be very hard to differentiate. I try to just concentrate on getting interesting pictures and enjoying the show.